• PLOT SUMMARY: Welcome guest-artist Andy Kubert! In the wake of unspeakable tragedy, Batman is in danger of losing his humanity! Fan-favorite character Harper Row returns-will she be able to pull Batman back from the brink? (C) Greg Capullo. (W) Scott Snyder, James Tynion IV. 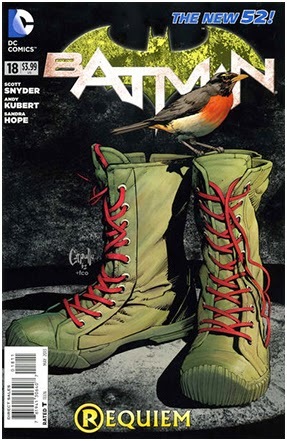 (A) Andy Kubert, Alex Maleev, Sandra Hope.